Retired U.S. Navy Rear Admiral Bruce Loveless and eight other high-ranking Navy officers have been charged in a federal indictment with accepting luxury travel, elaborate dinners and services of prostitutes from foreign defense contractor Leonard Francis, the former Chief Executive Officer (CEO) of Glenn Defense Marine Asia (GDMA), in exchange for classified and internal U.S. Navy information. 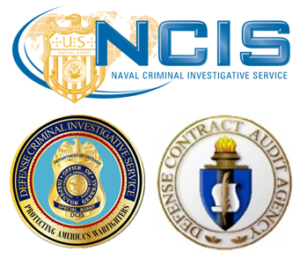 The Justice Department’s Criminal Division, the Defense Criminal Investigative Service (DCIS), and the Naval Criminal Investigative Service (NCIS) made the announcement yesterday (Mar. 14, 2017). This action is the latest in a string of guilty pleas, indictments and convictions – spanning more than three years – related to alleged fraudulent activities of GDMA and its chief executive, Leonard Glenn “Fat Leonard” Francis. 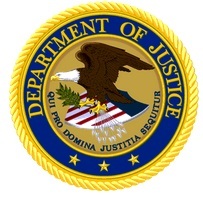 To date, a total of 25 named individuals have been charged in connection with the corruption and fraud investigation into GDMA, a defense-contracting firm based in Singapore. Of those charged, 20 are current or former U.S. Navy officials and five are GDMA executives. So far, 13 have pleaded guilty while several other cases are pending. The allegations contained in the latest indictments expose flagrant corruption among several senior officers previously assigned to the U.S. Navy’s Seventh Fleet. Nine defendants were arrested yesterday on various charges including bribery, conspiracy to commit bribery, honest services fraud, obstruction of justice and making false statements to federal investigators when confronted about their actions. Four of the defendants are retired captains: David Newland, 60, of San Antonio, Texas; James Dolan, 58, of Gettysburg, Pennsylvania; David Lausman, 62, of The Villages, Florida; and Donald Hornbeck, 56, a resident of the United Kingdom. The other defendants arrested yesterday include: Colonel Enrico Deguzman, 48, of Honolulu, Hawaii; retired Chief Warrant Officer Robert Gorsuch, 48, of Virginia Beach, Virginia; retired Rear Admiral Bruce Lovelace, 48, of San Diego, California; active duty Lieutenant Commander Stephen Shedd, 48, of Colorado Springs, Colorado; and active duty Commander Mario Herrera, 48, of Helotes, Texas. According to the indictment, the Navy officers allegedly participated in a bribery scheme with “Fat” Leonard Francis, in which the officers accepted travel and entertainment expenses, the services of prostitutes and lavish gifts in exchange for helping to steep lucrative contracts to Francis and GDMA – and to sabotage competing defense contractors. The defendants allegedly violated many of their sworn official naval duties, including duties related to the handling of classified information and duties related to the identification and reporting of foreign intelligence threats. According to the indictment, the defendants allegedly worked in concert to recruit new members for the conspiracy, and to keep the conspiracy secret by using fake names and foreign email service providers. According to the indictment, the bribery scheme allegedly cost the Navy – and U.S. taxpayers – tens of millions of dollars. In addition to the nine defendants charged today, the 11 Navy officials charged so far in the fraud and bribery investigation are: Admiral Robert Gilbeau, retired Captain Michael Brooks, Commander Jose Luis Sanchez, Captain Daniel Dusek, former Department of Defense civilian employee Paul Simpkins, Commander Michael Misiewicz, Lieutenant Commander Gentry Debord, Lieutenant Commander Todd Malaki, Petty Officer First Class Daniel Layug, Naval Criminal Investigative Service Supervisory Special Agent John Beliveau, and Commander Bobby Pitts. Gilbeau, Brooks, Sanchez, Dusek, Simpkins, Misiewicz, Debord, Malaki, Layug and Beliveau have pleaded guilty. Gilbeau, Brooks, and Sanchez await sentencing. On March 25, 2016, Dusek was sentenced to 46 months in prison and ordered to pay a $70,000 fine and $30,000 in restitution to the Navy. On Dec. 2, 2016, Simpkins was sentenced to 72 months in prison. On April 29, 2016, Misiewicz was sentenced to 78 months in prison and ordered to pay a $100,000 fine and $95,000 in restitution to the Navy. On Jan. 12, 2017, Debord was sentenced to 30 months in prison and ordered to pay a $15,000 fine and $37,000 in restitution to the Navy. On Jan. 29, 2016, Malaki was sentenced to 40 months in prison and ordered to pay a $15,000 fine and $15,000 in restitution to the Navy. On Oct. 14, 2016, Beliveau was sentenced to 12 years in prison and ordered to pay $20 million in restitution to the Navy. Pitts was charged in May 2016 and his case is pending. Three have pleaded guilty: Wisidagama, Francis and Aruffo. On March 18, 2016, Wisidagama was sentenced to 63 months in prison and ordered to pay $34.8 million in restitution to the Navy. Francis and Aruffo await sentencing. Peterson and Raja were extradited to the United States from Singapore in September 2016 and their cases remain pending. The charges and allegations contained in an indictment are merely accusations. The defendants are presumed innocent unless and until proven guilty. DCIS, NCIS and the Defense Contract Audit Agency are investigating the case. Anyone with information relating to fraud or corruption should contact the NCIS anonymous tip line at www.ncis.navy.mil or the DOD Hotline at www.dodig.mil/hotline or call (800) 424-9098.